See the various research sections for information and contact. The disciplines of Pharmacology and Toxicology deal with the actions of drugs (pharmacology) or poisons (toxicology) in the human body. Research in Pharmacology and Toxicology not only aims at a better understanding of the action of known drugs but also involves the search for new ways to treat diseases unresponsive to today’s medicines. In a broader sense, pharmacology deals with the understanding, prevention and treatment of human disease. The Institute of Pharmacology and Toxicology is equally devoted to teaching in the fields of Pharmacology and Toxicology. Both Medical and Pharmaceutical students of the University and ETH of Zurich are trained in these disciplines at our Institute. In addition, the Institute also contributes to various courses in Neurosciences. Post-graduate education is an additional important aspect of our teaching as it combined teaching with research and helps to encourage the next generation of scientists. The Institute comprises five independent Departments and one Junior Research group funded by the Swiss National Research Foundation (SNF). The research activities of all groups have a major focus on dysfunctions of the nervous system, including pain, epilepsy, sleep disorders, and anxiety. 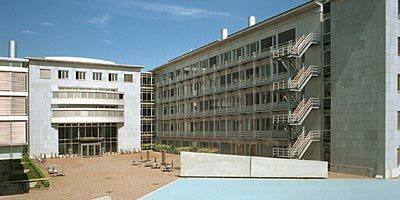 Neurosciences, tumor biology, chronobiology and the development and application of cutting edge imaging techniques in pharmacology are important fields of basic research at our Institute.